No matter how you cut it, Cannon Cart based attack strategies are absolutely dominating the ground game at Builder Hall 8. The Cannon Cart buff followed by the increase from 2 to 3 units per Army Camp have simply thrown this troop into the limelight. As a troop on its own, the Cannon Cart is weak - it has only 389 hit points at level 16, so that means it really needs some kind of tanking troop to keep it alive. Whether that’s a Super PEKKA (PEKKA Carts), Boxer Giant (Boxer Carts), or…. Raged Barbarians! That’s right - between the sheer number of Raged Barbarians you can carry in each camp and their ability to tear into a base with their raging attack, these troops are great for distracting enemy defenses while the Cannon Cart sneaks in behind them to decimate key defenses. At level 16, the Raged Barbarian is the least expensive (3M and 3.2M) and quickest upgrade (5 days each) in the game. 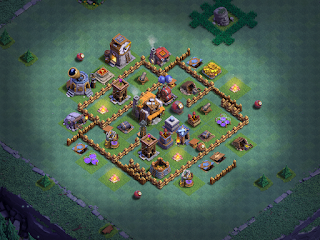 It’s the first troop that many players max both early on and at each level. Level 14 brought the per-camp number up to 20 and made it an absolute powerhouse troop at BH7. Given the extra Army Camp, an additional Cannon Cart in each camp at level 16, and 16 seconds of rage for the level 16 Raged Barbarian…it’s a match made in heaven. And that rage…wow! It just lasts FOREVER. The key to success in Raged Barbarian attacks is to send them into the base both en-masse and trickled throughout the attack. You want a multi-front attack to keep defenses both engaged and divided (if multiple defenses can lock on the same troop, it goes down fast; if they’re spread out in a 1-on-1 fashion…troops last longer as a whole). While raged, these bad boys pack an additional 70% damage and they do that at twice their normal speed. They’re an up-close kind of troop, though, so that means they are highly vulnerable to the Crushers and there’s your first big threat to any Raged Barbarian attack - you’ve got to do something about the Crushers. If your timing is REAL good and you can clear a path, you can sacrifice one to get the Crusher to drop then flood it with 8 or 10 in a raged state to take it down. You can also clear a path to the Crusher for your Battle Machine, or (in this strat) send in Cannon Carts to clear it out before it can do too much damage. There are a number of ways to run this strat - 3 and 3 or 4 and 2 (RB/CC) is usually the preferred. The step-by-step goes something like this…. As is the case with any attack using Cannon Carts, watch your deployment - you want to spread them out enough that splash damage will not take out a group, but not so far as to make them lone wolves in the attack. Both the Giant Cannon and the MultiMortar are your worst enemies here - the Giant Cannon takes out everything behind its target (so if they’re following the wrong Raged Barbarian or Battle Machine, they go down to) and the MultiMortar kicks out so much splash damage that any groups within a few tiles of each other will inevitably go down fast. This attack is truly all about timing. Although they sometimes LOOK spammy, attacks that use Raged Barbarians rely heavily on their sheer numbers to overwhelm and divide enemy defenses. Deployment can be tough and it’s difficult to slowly trickle in the right number, at the right places, to have an effective attack. I recently visited the Oz Builders clan where I was schooled on this strat. One of their guys, Woden, absolutely took my base to town with this army comp - it might well have been the first time the base was actually 3-starred since I had some of the key defenses at level 8. I’ve included a replay of that friendly challenge in the companion video. Woden, Hero, Mr Potato, Felix, Mangomusty…these guys are all using this strat to great effect and provided me with a BUNCH of replays to share. Be sure to check out the video (linked below).